Launch Now represents the strategic re-positioning of downtown Titusville to its surrounding community. 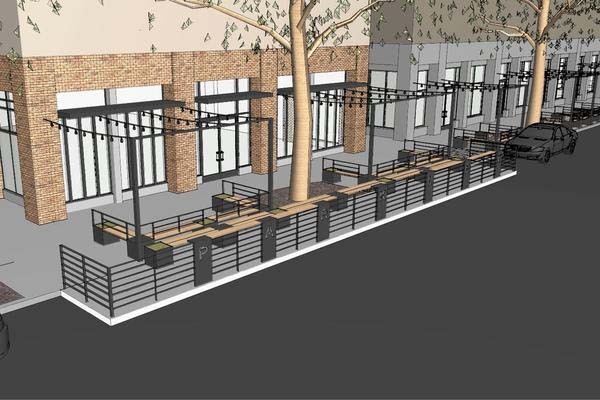 With the intentional, purpose-driven use of its exterior space along South Washington Avenue and South Hopkins Avenue, the site proposes to become a walk-able, living environment in the F.D.O.T. right-of-ways. Plus, with the former bank building abutting the Coast-to-Coast Bike Trail, it furthers the possibility of the site into a major public destination. The (proposed) choreographed use of the 300 S. Washington Ave historic arcade, sidewalks, and public landscape spaces will become a vibrant, pedestrian-friendly space with a lively mix of uses: bike storage, shareable bike docks, outdoor seating, device-charging, free community internet, community building, and entrepreneurial space/tech brainstorming. 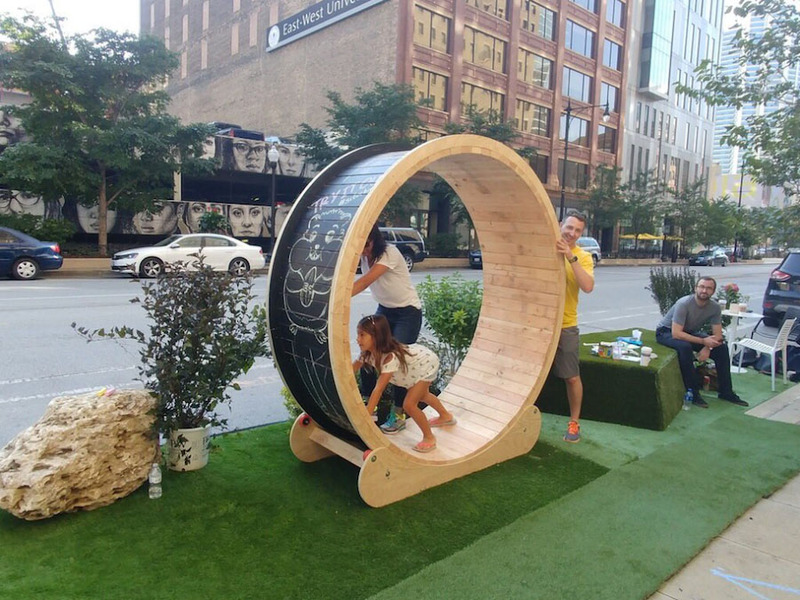 Of course, we will also program the space with the potential for multitudes of "Instagram-able" moments - a place where we know people are going to want to take a photo. (See information about the "Washed Ashore" manatee sculpture made from recycled ocean trash). 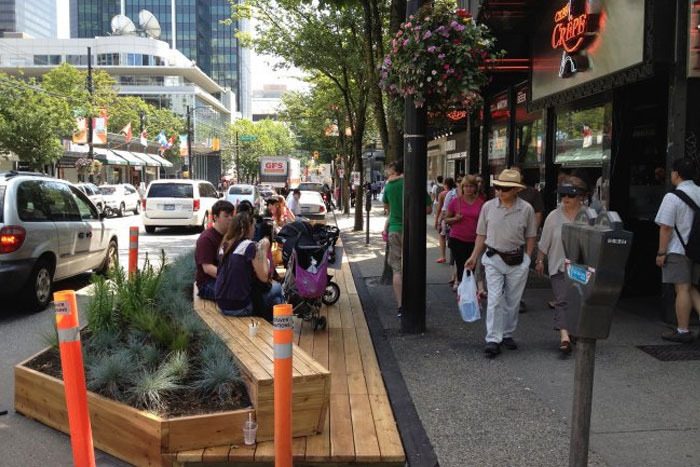 Street furniture has a profound effect on how we feel about a place -- how we use it. 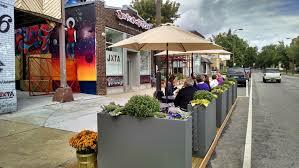 Smart details will define the density and placement of outdoor seating in the Space Consciousness Parklet. Often, people like to be alone, but not lonely. 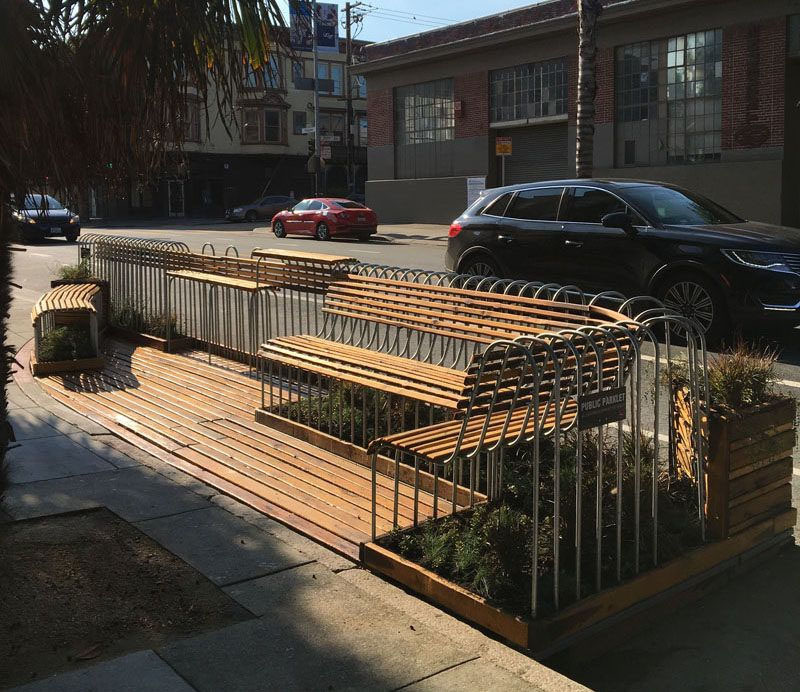 We rarely notice it, but park benches, bike racks, and recycling receptacles have an important influence on our community, moods, and productivity -- whether we feel comfortable or harried, protected or scrutinized, nurtured or left to fend for ourselves. This new community site will be a destination for an individual to work and yet have some privacy; in other cases it will be an opportunity for individuals to brainstorm and ignite new ideas. 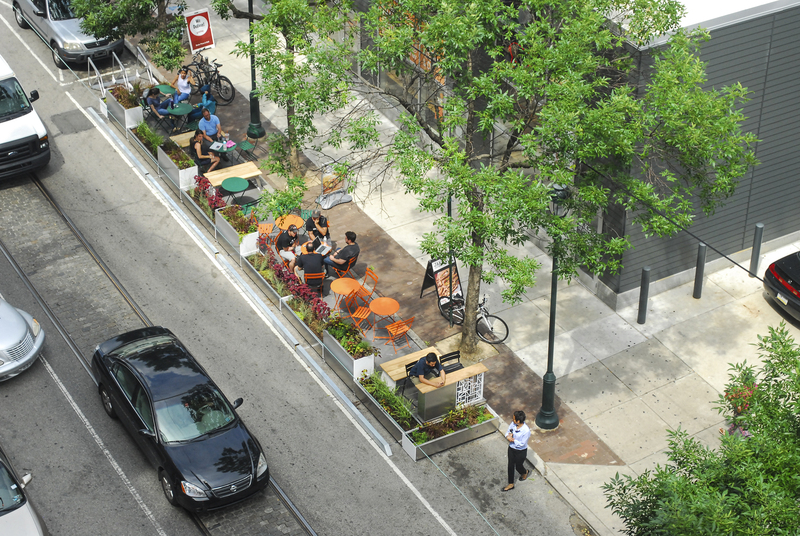 Across the country, these "urban exterior" parklet spaces are the arising of an undercurrent of awareness and awakening in urban revival and job growth. 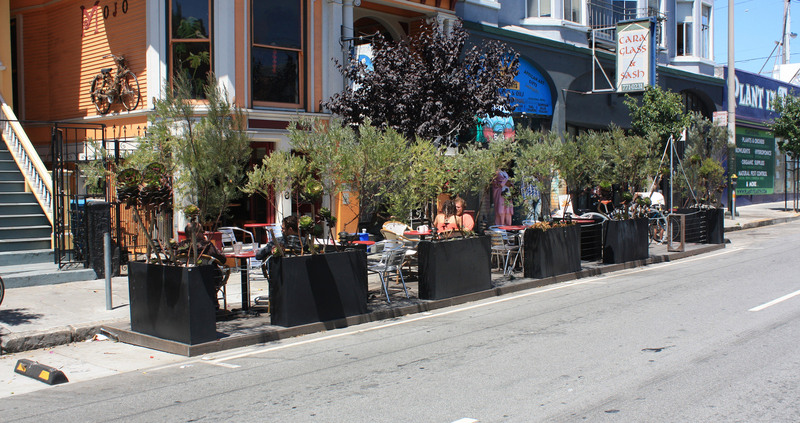 "Parklet" is a term credited to a program begun in San Francisco in 2010. 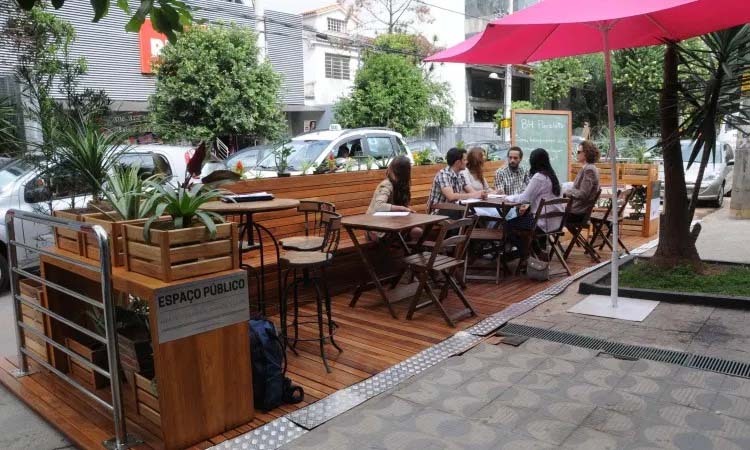 According to the National Association of City Transportation Officials, a parklet "re-purposes underutilized street space into neighborhood amenities.... parklets extend the sidewalk and provide enhancements like seating, landscaping, bike parking, and art. 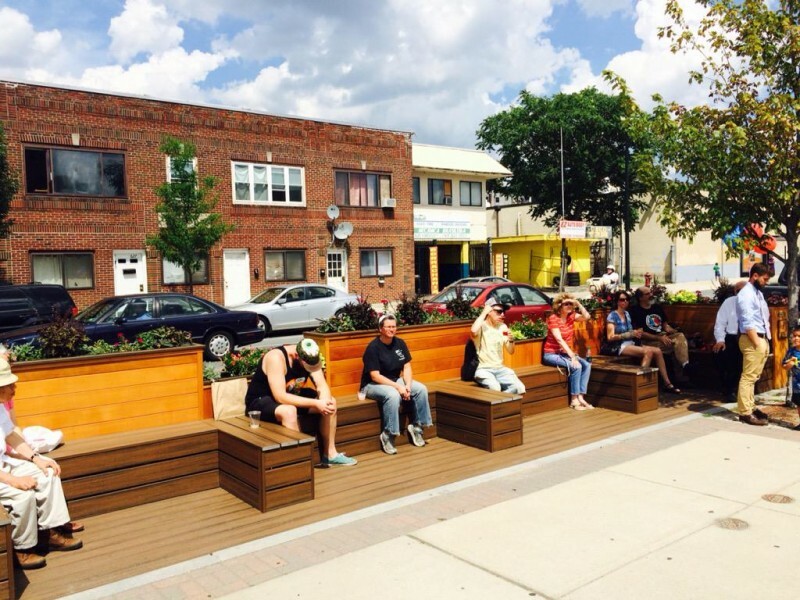 Per WCVB (Boston), "parklets are an innovative technique used to increase open space in an urban environment and enhance the quality of the public realm." 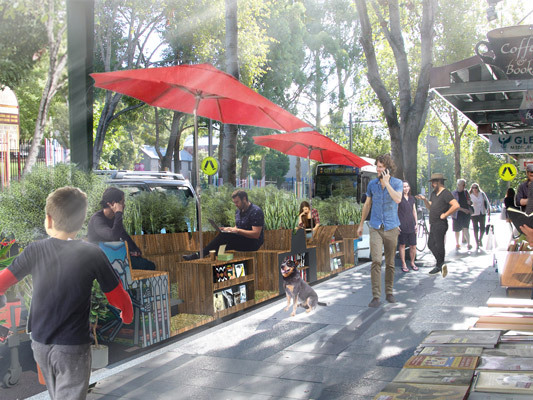 Stay tuned for news about this proposed new public amenity and please contact us with questions.